For most aspiring consultants, McKinsey is the gold standard. The mecca. The ultimate prize. Okay, okay, we know you get it. But the problem with McKinsey being so desirable is that everyone and their brother’s pet dog wants to work there. So how do you set yourself apart, especially as a PhD/Advanced Professional Degree (APD) holder? It’s no secret McKinsey recruits PhD and APD level candidates, but the process is unique compared to the way the firm hires other candidates. But have no fear! MC is here to help you every step of the way. *We’re starting this article off assuming that you’ve already knocked some socks off during networking (see here) and created a masterful resume and cover letter (see here). Once you’ve passed the resume screen, you’ll be invited in to a local office for a first round interview. Except this first round interview isn’t so much an interview, per se, but rather a written test. This is mostly a math test, and doesn’t have much to do with the case interview at all. Make sure you brush up on your math problem solving skills before going in for the test! If you’d like some help getting up to speed with your math skills, take advantage of our Mental Math course and get practicing! Once you pass a certain benchmark score on the test, you will be invited back for the second round. This will be your traditional McKinsey style case interview coupled with a fit interview as well. Almost always, the case interview will come first. As you are prepping, make sure you practice your case structuring. We recommend practicing six or seven problems with a friend, structuring them, and then verbally communicating that structure to your practice partner. It is not enough to simply structure a problem, you must be able to clearly communicate the structure to your interviewer as you are building it. Your issue tree may be world-class, but if you can’t communicate it well, it won’t do you any good. If you’d like some tailored advice on how prepare for your interview, contact us and we’ll be happy to give you some recommendations. We also have a Case Interview Bootcamp if you’d like to learn at your own pace. Many times, the case interview process is challenging for PhD’s and APDs because your academic background isn’t business related, like the case interviews themselves. Learning how to think through problems like a consultant isn’t an admission that your previous way of problem solving is wrong, just simply a realization that you are transitioning in to a different field. Another thing we highly recommend is giving a temporary recommendation after every question, assuming that the current question is the end of the case. Never assume that you’ll be asked another question! This way, you’ll be moving the conversation forward without driving it. Instead of asking for 20 or 30 seconds of silence at the end of a question to develop your recommendation, talk through your answer to bring your recommendation together. For example, at the end of your answer, you can say “Okay, so we looked at this, this and this, and that means the key points are this, this and this, therefore my recommendation is this”. For the fit interview, you must be able to briefly and concisely tell your story. For an accomplished PhD or APD such as yourself, the temptation will be to try and highlight all of your experiences. Please don’t! 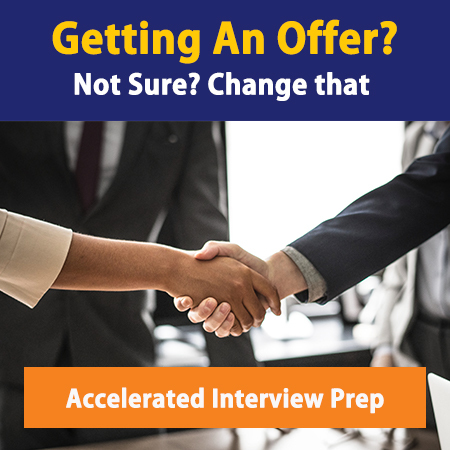 You should be able to walk the interviewer through your resume in around 2 minutes, and be able to hit all of your most relevant experience along the way. Your experiences make up a unique story; own it and be proud of it as you are telling it! Tip: If you realized you made a mistake during the case interview portion of the process, have a short memory! Don’t dwell on the mistake you made during your case in the fit interview and let it affect your confidence. Stay in a good mood and show McKinsey exactly why you are the right candidate for the position. After your interview is over, McKinsey can be a little more intimidating than other firms. While at some other firms may give you a sense of how the interview went, it is tougher to judge how things went when interviewing at McKinsey. McKinsey interviewers usually don’t tip their hand, and are trained to keep their body language and facial expressions neutral. As you are leaving, smile, be confident and walk out of the office with your head held high. Within a day or two, you will receive a phone call informing you of the firm’s decision. Already navigated the process and have some extra tips for your fellow PhD’s and APDs? Leave them in the comment section below! If you are a PhD or APD looking to break in to the consulting job of your dreams, connect with us to see how we can help you make your dreams a reality. And don’t forget, get your application in by July 18!